Penobscot Valley Hospital filed for Chapter 11 bankruptcy protection this week. Health care is evolving and Maine’s rural hospitals are at-risk. As the state’s population continues to decline and age, and local economies sputter, hospitals are faced with a variety of difficult decisions when it comes to keeping the doors open. Critical access hospitals, including Penobscot Valley Hospital, have been forced to balance declining revenues with service cuts, layoffs and changes to operations. We have seen hospital mergers and closures in all corners of the country. For my hospital in Lincoln, operational changes and workforce adjustments have not been enough. Penobscot Valley Hospital has filed for Chapter 11 bankruptcy protection as part of a plan to stabilize its long-term financial health. Historically, it is unusual for a hospital to declare bankruptcy. These, however, are not ordinary times for hospitals operating in Maine and around the country. The Maine Hospital Association reports that rural hospital operating margins were negative 1.3 percent in state fiscal year 2017. More than 90 rural hospitals have closed in the country since 2010, according to the National Rural Health Association, and hundreds more are at risk of closure. We are not alone in our search for the right answers to right-sizing our care delivery system. 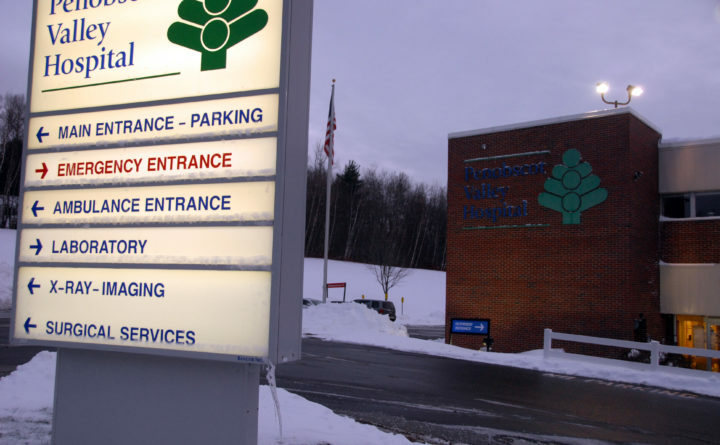 There is a direct connection between regional economic conditions and declining revenue at Penobscot Valley Hospital. The loss of hundreds of good paying jobs in 2015 with the permanent closure of Lincoln’s major employer, Lincoln Paper and Tissue, has contributed to high unemployment rates, loss of commercial health insurance coverage, and families moving out of the area. Since 2015, we have seen a 65 percent drop in admissions and a 10 percent overall drop in total patient volume. On a state and national level, the lack, until recently, of Medicaid expansion and cuts to reimbursements have also negatively impacted revenue. We welcome the Medicaid expansion in Maine and support the upcoming “rural health care” bill proposed by state Senate President Troy Jackson, but for us, the help comes too late. Maine has a dispersed and aging population and as health care evolves, it is imperative that rural communities do not become hospital deserts. For patients who live in Macwahoc or Springfield, the 30-minute drive to Penobscot Valley Hospital in Lincoln is their closest option for hospital care. Many of our older community members require frequent, advanced hospital services, and if Penobscot Valley Hospital closed, they would have to make a difficult choice between uprooting and moving to a community with a hospital or driving longer distances each time they need care. The research is clear — the longer the travel time to a hospital, the higher the mortality risk. Keeping the doors open at Penobscot Valley Hospital saves lives in rural Maine. Is our hospital failing? Absolutely not. We have made changes over the last three years that have reduced our operating losses from a $2.1 million net loss to nearly break-even. We have right-sized operations and have implemented creative solutions to prioritize critical health care services. We have a dedicated and hard-working team of employees and providers, and continue to earn top scores on patient satisfaction. We are honored to be one of five hospitals in the country selected through a grant process to participate in a Texas A&M University Rural and Community Health Institute program that provides intensive on-site technical assistance to determine feasible health care options for local, quality care. We have a solid plan in place and fully expect to emerge through the bankruptcy restructuring process in a much stronger financial position. Rural hospitals, along with schools, are the bedrock of the community and we believe that our local citizens deserve to have a hospital close to home. There is no one-size-fits-all solution for rural hospitals, but for Penobscot Valley Hospital, bankruptcy is the right tool in the tool box to help us continue to fulfill the commitment we made to our community 45 years ago: To improve the health and well-being of those we serve. Crystal Landry, RN, is the CEO of Penobscot Valley Hospital in Lincoln.